Did you know the Association for Creatine Deficiencies has an amazing patient registry? For rare diseases, patient registries are critical to understanding the progression of the disease and the outcomes families can expect. Our patient registry is strong but we need your help to take it to the next level and include genetic data. 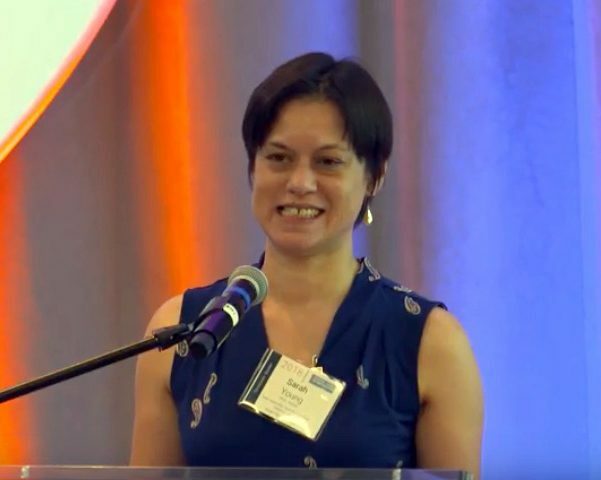 At the symposium in July, Dr. Sarah Young gave a talk that covers, in the second half, the patient registry and where genetic data fits into that. In the first 19 minutes, you will hear an overview of the three creatine deficiencies. From minute 19 onward, Dr. Young talks about the ClinGen/ClinVar partnership with our registry and how we’re ahead of the game by being able to add genetic data. There are short term and long term benefits for this kind of research. In the short term, we’ll have a lot more information on whether mutation variants are pathogenic (disease-causing) or not. In the long term, hopefully, we can correlate what kind of mutations correlate with what kind of outcomes. I’ve searched many many papers to figure out if Rohan’s mutation, a relatively large deletion, means he’ll be severely impacted or not. I still don’t know the answer. Here is where we are now with the genetic data in the registry. We sent emails to everyone in the patient registry but only a third opened that email. Out of that, only 13 people said yes to sharing data and only 7 uploaded the genetic information. We have an amazing expert panel of over 12 brilliant academics and researchers ready to develop guidelines for how to classify these mutations. Now we need to do our part. If you haven’t signed up for the patient registry, please do. You can even find anonymized statistics about what other patients are experiencing (for example, how frequently others have seizures). If you have an account, please update your email address or make sure you have received an email from “coordinator@pin.invitae.com“. While you’re at it, add this email address to your contacts so that important messages don’t go to your spam folder! This is the little paper you got from a genetic testing laboratory when your child was diagnosed. If you can’t find it, give your geneticist’s office a call and they should be able to email you a copy. This is probably one of the hardest steps because it may require a little digging. If you watch Dr. Young’s video, I think you’ll understand that this is worth the effort! *Thanks to ACD’s Director of Research, Laura Trutoiu, PhD, for writing this post.